A podcast for business leaders looking for new ways to accelerate their team’s performance and improve their organization’s results. 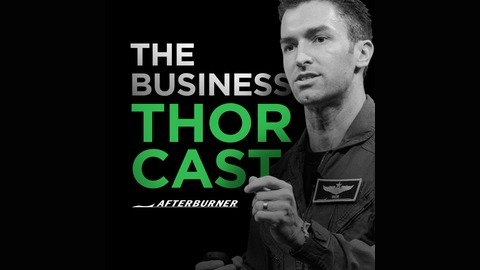 Listen as former F-15 Fighter Pilot turned business improvement expert, Joel “Thor” Neeb, shares his lessons learned in creating organizational alignment and developing a culture of disciplined execution to improve business performance. He will also interview other business leaders, industry experts and inspiring individuals that will motivate you to get out of your comfort zone to create lasting change within yourself, your team and your organization. Thor leads Afterburner’s team of elite military professionals who accelerate business execution performance for organizations from Fortune 100 companies to NFL teams. He has personal experience of operating in a high-stakes environment, during his military career he escorted the U.S. President through the sky and flew missions to ensure the safety of the United States after the attacks of 9/11. He is a graduate of the United States Air Force Academy, a former F-15 fighter pilot and a graduate of the McCombs School of Business at the University of Texas. Tiffani Bova is a legend in tech sales. She spent 10 years working at Gartner and is now using her skills to get people to think differently about how they interact with their customers as the Global Customer Growth and Innovation Evangelist at Salesforce. As an executive at one of the hottest companies across the globe, Tiffani has captured many of her best practices and recently released the Wall Street Journal Bestseller, Growth IQ. 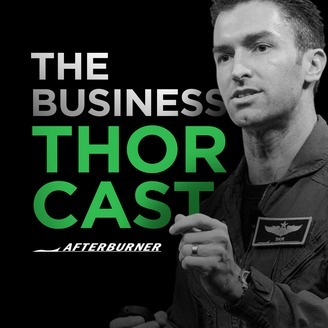 Tiffani shares more on her career and her incredible experiences as she catches up with Thor in this episode of The Business Thorcast.